From the author of the classic Farseer trilogy, Ship of Magic is the first part of the Liveship Traders. 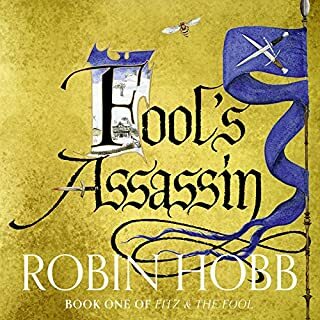 Set in a land bordering the Six Duchies, Robin Hobb begins her epic of pirates, talking ships, magic, sea serpents, slave revolts, dashing heroes, and bloody battles. Althea waits for the ship that she loves more than anything else in the world to awaken. Only to discover that the Vivacia has been signed away in her father’s will to her brutal brother-in-law, Kyle Haven. Others plot to win, or steal, a liveship. The Paragon, known by many as the Pariah, went mad, turned turtle and drowned his crew. Now he lies, blind, lonely and broken on a deserted beach. But greedy men have designs to restore him, to sail the waters of the Rain Wild River once more. narrator had no intonation, can't follow the story. returning the book. might try the paper version of this book. 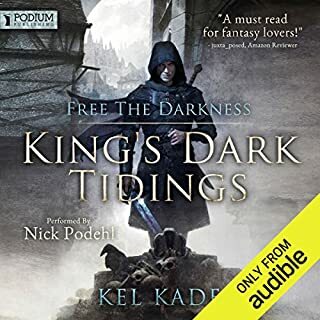 Really enjoyed the story as with all the Robin Hobb books but the listening experience was ruined for me by the narrator. I know the Hobb books are so much better if listened to in order and that is the only reason I continued to listen! The narrator sighs out every paragraph as if it is painful to her and her character voices are even more unpleasant to listen to! Thank goodness not all the books by Hobb are read by her or I would never listen to any of them. As fantastic as the book was, the voice made it very difficult to sit through. I'd only listened to a couple of hours of audio until I had to go out and purchase a physical copy of the book so I could read it there. Fantastic book - could not say better things about it. But I found the narrator very difficult to listen to...until I turned the speed up to 1.25x. Then it seemed to read a lot more naturally and not be so painfully slow/annoying. Hobb writes some of the most entruiging characters. narrator took some getting used to but now I can't imagine amber having any other voice. low volume but definitely worth a read. Great book, Great Story, Great Writer, Pity about the narrator. 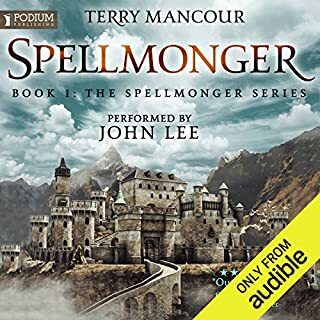 It would be nice if they stuck to one Narrator for an author, I would have been very pleased to continue with Paul Bohemer, and I am disappointed with the change, I will make sure I listen to samples before I buy any more books from audible. Anne Flosnik has an incredibly annoying voice, she seems to lisp, slur, speaks her words around the sides of her tongue and is almost sounds like she is trying to cast a spell with every sentence. 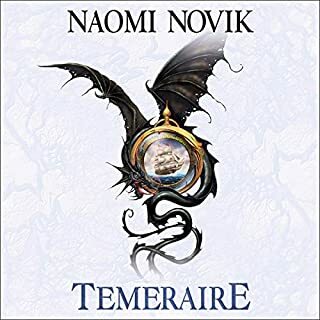 I had intended to work my way through the Liveship traders series before I started the Tawny man series, but I have decided that since I read the series about 10 years ago, I will pass on buying the other two books and skip forward. 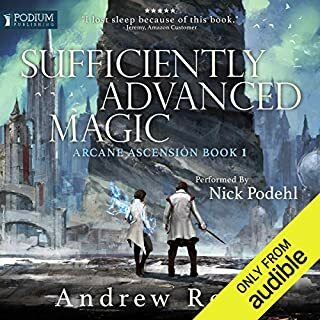 It has just occurred to me that there are other sites that do audiobooks, I have been happy having Audible as my sole provider, but I really don't want to listen to Anne Flosnik butchering any more of these books so I will have to look to see if this book is availiable from anyone else with a better Narrator. Hell no. Not if you paid me. Speeding the audio up to 1.1x speed improves things significantly but this would be best fixed with a better narrator. Would you try another book from Robin Hobb and/or Anne Flosnik? Try increasing the playback speed. I listened to this book at 1.10x and it made a world of difference. That is a tip to remember for any audiobook that you are not enjoying, try increasing the playback speed before giving up on the book. As for the trilogy, I'm now well into the second book in this series, and it's ok. 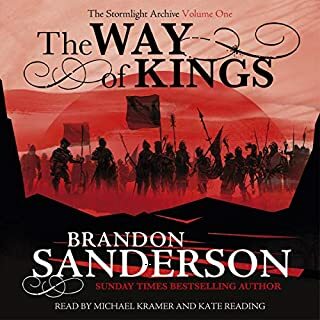 It's not as gripping as the farseer trilogy, but it is good enough to listen too. I look forward to returning to Fitz & the Fool, but this is proving to be entertaining enough, and the magical ships are wonderful. It is frustrating how even when someone has been proven to be wrong in this book, they still stubbornly refuse to change their mind/opinion about something. (Very true to life though, just look at politics.) Like the whole Vestrit family, none of them ever seem to change their mind. It does make it a struggle for me to like any of the characters very much. Anyway, give the series a go, the ships are wonderful, and if you find the narrator difficult to listen too, try increasing the speed. I honestly wonder if someone messed up the recording, and it's playing slower than it should. I am sure the book is quite good but I will be asking for a refund for this one. The Narration is just terrible. I am really sorry Anne Flosnik but this is not your calling. There is no depth to the characters, she is incredibly slow even at 1.25 times the speed. its very mono tone so the book doesn't develop any real feeling as to what is going on. The spacing between sections in chapters is almost non existent and its really hard to follow from one part to the next. And all the characters sound the same boy or girl, old or young. 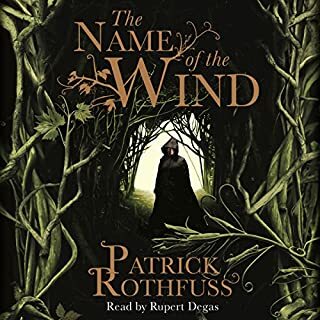 Looking at other reviews of this narrator this is a common feeling so its really disappointing that the entire series is read by this one lady. She just doesn't give the book justice. Will be reading this one myself thanks! I'd certainly read a book from the same author, but not the narrator unless for a very specific reason. 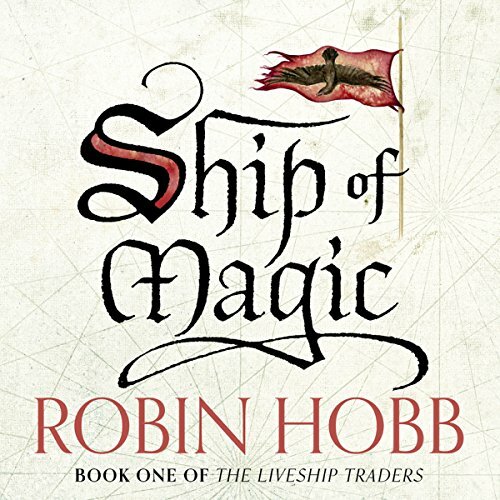 Was Ship of Magic: The Liveship Traders, Book 1 worth the listening time? The story is good, the narrator almost made me give up. Do not buy! Horrible reading!! Another reader would make all the difference. Anne Flosnik tries to do I do not what. I have read and re-read the books. The stories are wonderful. The narrative is very good. Disappointment. I love the books, but Anne Flosnik's reading just kills them. 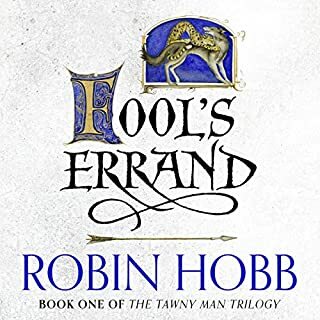 After reading the Farseer trilogy, I really wanted to skip The Liveship Traders and go on to the Tawny Man Series but all the reviews I read indicated these books should be read in the order they were written because some of the characters from here are brought into the Tawny Man. While not directly connected to the Farseer story, it is set just outside the boarders of the Six Dutchies. I liked the characters and the idea of the liveships but dont understand what is going on with the sea serpents. It has taken quite a long time to start enjoying the story as I don't care for the narrator's voice/accent. We have Trader families in debt to RainWild families for their liveships, children used as bargaining chips, pirates, slaves and politics and an interesting mix up of characters. Another fantastic book by Hobb. Wasn't sure about the reader at first, but she won be over quickly. Brilliant novel! Really liked my first audioboek with audible.com. There where times I couldn't stop listening because the story was so engaging. I've read the first 3 books about Fitz and the Fool. after that continued with books 7 to 9 because I wanted to know what happens next to Fitz and the Fool! 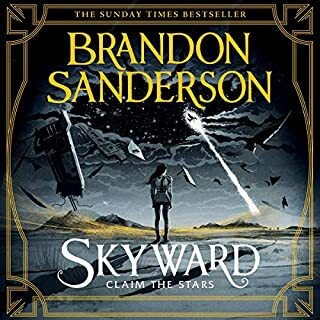 after book 9 I read more reviews about the liveship books and decided to listen to them, just to try if they hold up to the positive reviews. And they definitely do. I haven't missed Fitz in the stories and I am enjoying the new characters and their adventures just the same. Also, I still enjoy this series even though I have read the next trilogy which gives minor spoilers about the liveship traders books. I love Robin Hobbs books, I have read them all and Ship of magic is no exception. However, the narrator does not do it justice. Maybe its a technical flaw in the recording or she simply swallow the ending of words but repeatedly through the reading the last letters in a word just disappears. Also, the "voices" she uses leaves me untouched, and sometimes annoyed. But the story is great and because of that i give it 3 stars; 1 for narrator and 4 for the story. I love Robin Hobbs writing style, and this book is a beautiful addition to the lush magical world she’s created. 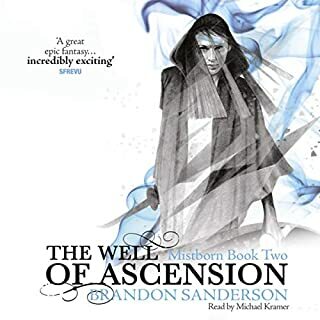 Certainly recommend to anyone looking to get into a new fantasy epic. But the narration was trying throughout and impossible at times. After the farseer trilogy being read by Paul Boehmer so movingly, Anne Flosnik was a huge step back. If I had any other option I would have read the live ship trilogy to avoid this narrator. Appalling voices, jarring pacing, and now I have to listen to her again in the next book. Like the previous reviewer, I like Robin Hobb's books. Her style is flowing and characters accessible. However, the narrator is not a good match. There is little emotion in her reading, which sounds like a newsreader at times. I've not finished yet, and I'm open to her style growing on me, but at the moment it's actually getting in the way of the words. I suggest starting with one of Hobb's other series on this site. 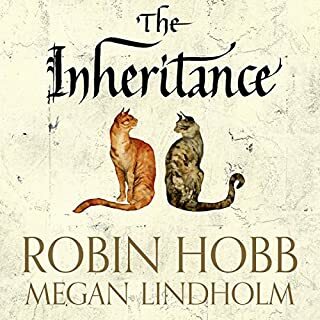 I love Robin Hobb's writing and the story in this book is as good as others I have read, but I agree with previous reviewers that a good book is let down by the narration. I am not keen on the reading style or the character voices, but that is a matter of personal taste and you can get a flavour of that from the sample, what caused me to stop listening after several hours is the way the ends of words are missing, you forgive the first few as a technical glitch, but it keeps on happening and each time it is more grating. Where have the ends of the words gone? I tried downloading the full quality version but the problem was the same. 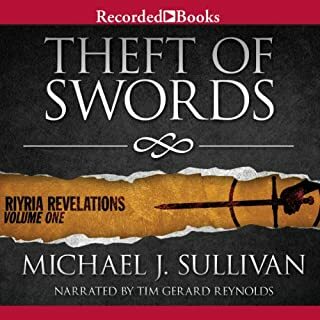 This is a poor quality audiobook for a good quality site such as Audible, wish I had read the reviews before buying. 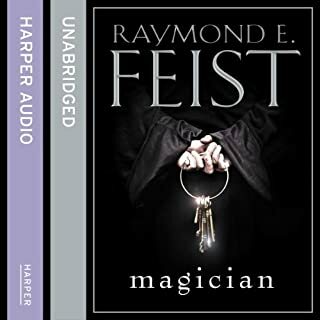 Having enjoyed the Farseer trilogy audiobooks I was shocked at the quality of narration. The narrator has a very odd and distracting cadence and the character voices are not great either. It made it completely impossible for me to get beyond the 1 hour mark in a book I know I like. I will definitely avoid anything from the same narrator in future. Its the first thing I've regretted purchasing from audible and the first time I've felt driven to post a review. Truly awful narration. Such a shame. 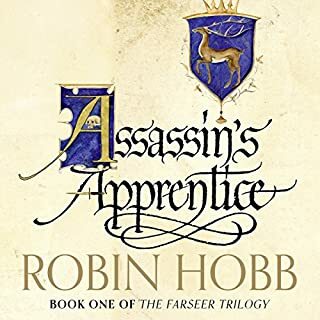 I've just finished listening to the farseer trilogy which were brilliantly written and well read by Paul Boehmer. I was therefore really looking forward to the next trilogy by Robin Hobb. 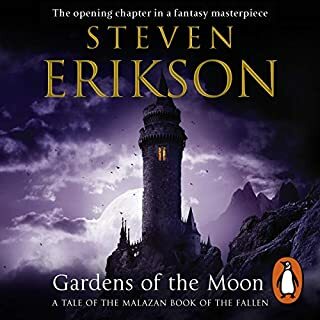 Unfortunately after only 45 mins of attempting to listen to 'Ship Of Magic' I found myself forced to return this audio book. At first I thought I was listening at the wrong speed - but no! I spent the next 20 mins trying to decipher if the narrator was a real person or a computer generated voice. I was so fixated on the narrators lifeless delivery and in some instances bizarre pronunciation, that I was completely unable to follow the story. By far the worst narration I have encountered from Audible (and I have downloaded a lot of books). Robin Hobb deserves better. Mystifying decision to change narrators, and even more mystifying to allow this narration to be put into production. 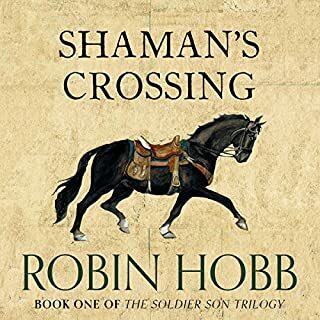 I love all of robin Hobb's stories but the lady reading put me off. It was like having mystic meg reading, so much so only did about an hour and realised I wasn't following rewound a couple of times but still couldn't get into. I hadn't read any of the reviews of this production, or listened to the sample before purchasing. BIG mistake! Anne Flosnik's voice grated from the start, with a strange unnatural rhythm and unbelievable voices. Perhaps English is not her native tongue, but Audible could easily have found a far better narrator from amongst the many it can choose from. I hope that I can return this title, as I will never listen to it again. Sadly I was forced to allocate one star for 'Performance. Too high in my opinion. These books are great stories but this reader is the worst I have ever heard. She needs to be sacked, her voice seems to be on slow speed and in an effect voice that you can not tell the difference between the different people. Cone on Audible you have mush better readers than this....Just look at the other books by Robin Hobb. Maybe the paperback is better? I am so frustrated with the narration that I didn't get very far through the book at all. Robin Hobb has always been someone I wanted to try, but this experience has really put me off trying other books.